Home» AP TS LATEST JOB's | EDUCATIONAL PORTAL » IBPS Common Recruitment Process Specialist Officers posts in Participating Organisations Online Exam Notification - 2016. IBPS Common Recruitment Process Specialist Officers posts in Participating Organisations Online Exam Notification - 2016. 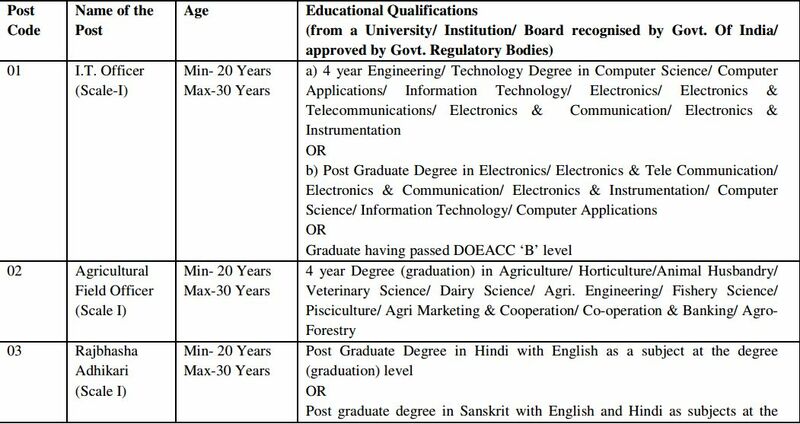 IBPS Common Recruitment Process Specialist Officers posts in Participating Organisations Online Examination Notification - 2016. Candidates who appear and are shortlisted in the examination, will subsequently be called for a Common Interview to be conducted by the Participating Organisations and co vacancies to be filled in during the Organisations and as reported to IBPS, candidates shortlisted will be provisionally allotted to Participating Organisations keeping in view the spirit of Govt. Guidelines on convenience, etc. (A) below, to conduct the recruitment process as mentioned above, once a year. IBPS will make arrangements for conducting online examination, declare result of online examination and inform the shortlisted candidates about the interview. 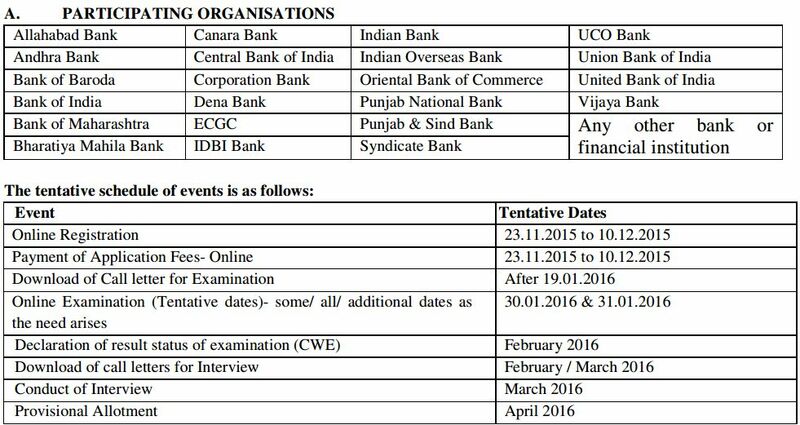 Interviews will be conducted by the participating organisations and coordinated by the Nodal Bank in each state/ UT. Prospective candidates will have to apply to IBPS after carefully reading the advertisement regarding the process of examination, interview and provisional allotment, eligibility crite fee/ intimation charges, pattern of examination, issuance of call letters etc. and ensure that they fulfil the stipulated criteria and follow the prescribed processes. To Get Complet IBPS Notification Information - Click Here.